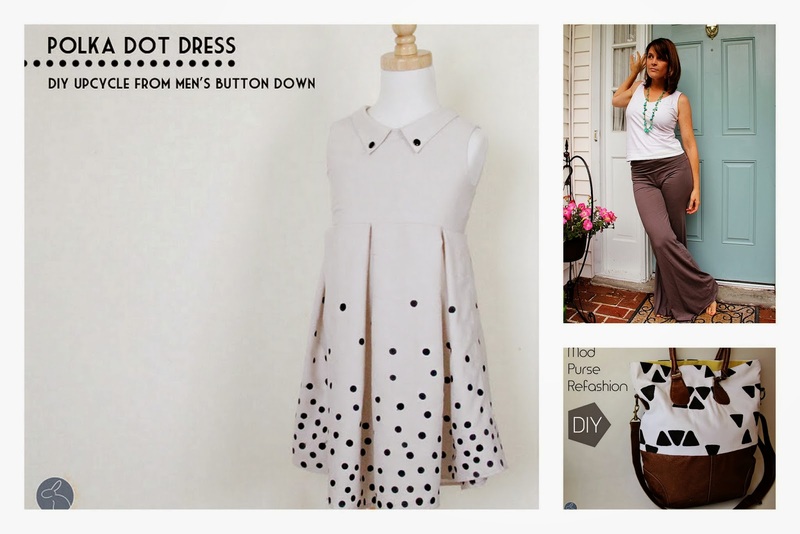 I am absolutely thrilled to kick off our week of Handmade Halloween inspiration with Jess from the Sewing Rabbit and SewSet. 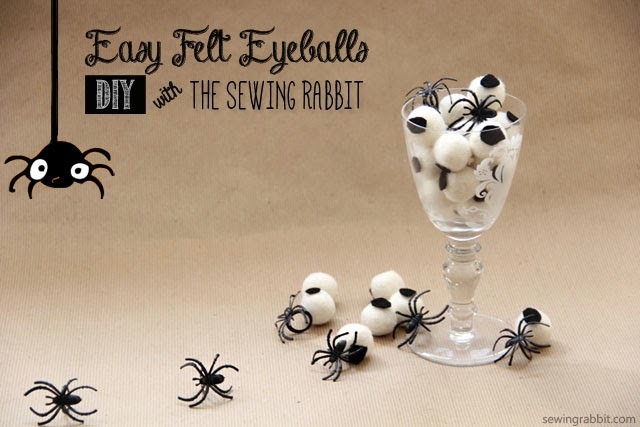 She's sharing an easy Halloween decor craft-- Felt eyeballs! I have to admit, the spiders crawling on eyeballs thing kind of gives me the creeps-- which is probably exactly what what we need to get in the Halloween Spirit! And if wooly felt eyeballs arent really your thing-- scroll down. 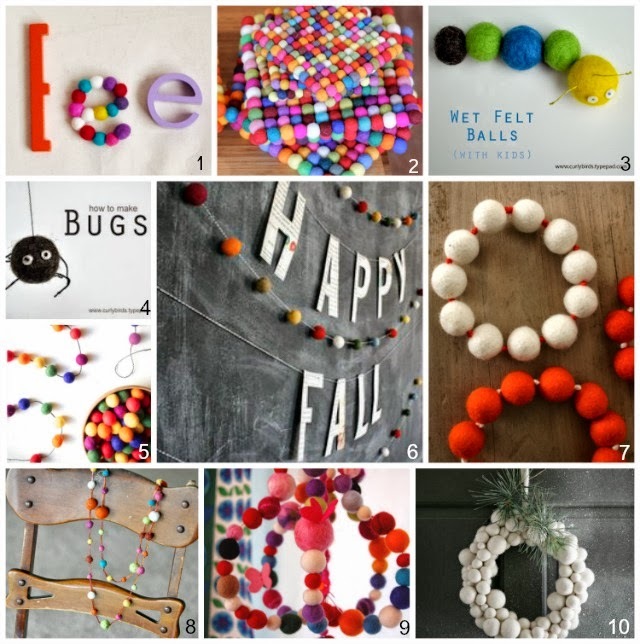 She's done a wonderful round up of other crafts to make with felt balls. And of course-- don't forget to head on over to Sewistry, for our roundup of Baby Costumes (even if you don't have a baby-- these costumes are to cute to miss! ); and Feather's Flights to see what Rachael from Once Upon A Sewing Machine has in store for us! Hello Make it Handmade Readers! 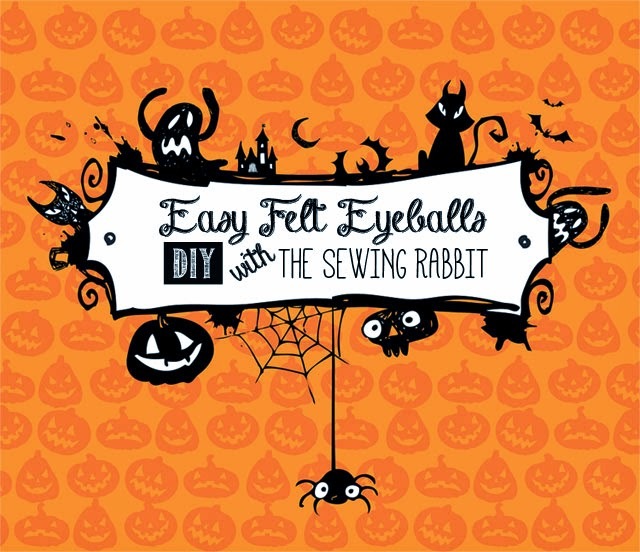 Jess the Sewing Rabbit here, and I am so honored to be guesting today for Palak & Heather's Handmade Halloween Series. The holidays can be a time of stress for many. 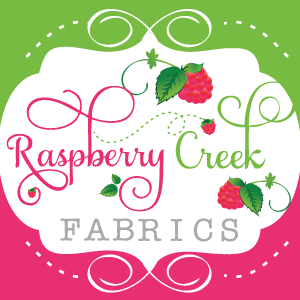 From making costumes to handmade treats, goodies for school and running around to all of the different Fall Festivals, if you aren't careful you can find yourself running around more than enjoying the festivities. Which is why I like to keep my Holiday decorating easy. 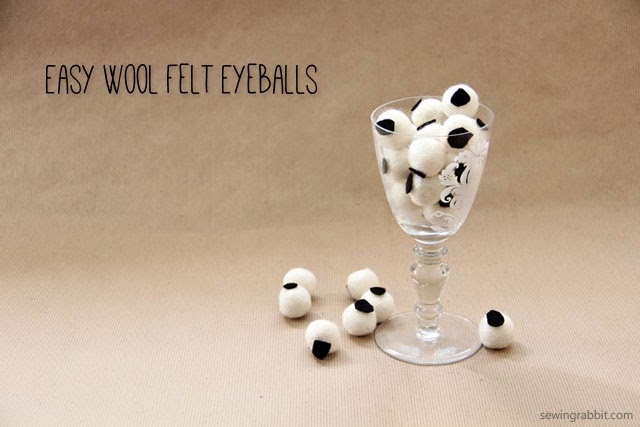 These easy wool felt eyeballs are a cinch to make, and will add instant Halloween decor to any decorated side table. 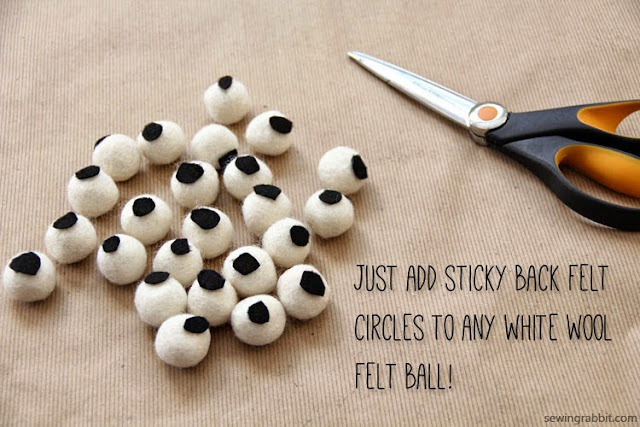 The best part is that you can easily reuse these wool felt balls for another project once Halloween is over! More on that later. My Movie from Jess Abbott on Vimeo. Cut out small circles from black felt. Stick black circle on white wool felt. The best part about this Halloween Craft? Once Halloween is over, you can just take off those black circles and upcycle the wool felt balls. I hope this gets you inspired to start crafting this holiday season! Just remember, the holidays don't need to be a time of stress. Making it handmade can be easy and fun, the key is finding what you love to do - and keeping it simple! Thanks so much for having me here today Palak, I am so excited to follow along with the rest of the series and see what other people are making for Halloween. And don't forget to check out what Heather is up to today-- she has Rachael from Once Upon A Sewing Machine sharing a fall tutorial. See you tomorrow for more Halloween Inspiration!